We own Germany ball mill grinding line - HOSOKAWA ALPINE technology with the most advantaged modern classifier 800 TTD (single driver, turbo - twin discharge). - 800TTD with new technology uses only 01 classifying wheel and limits voltage drop making products always have range of regular and stable particles. Besides, design of two outputs help increasing performance of classifier 800TTD double higher than older technologies. Hosokawa Alpine 630C Coating Line – Germany. Coating technology from Shanghai – China.The coating material is supplied by automatic weighing, fatty acids melted and blended. 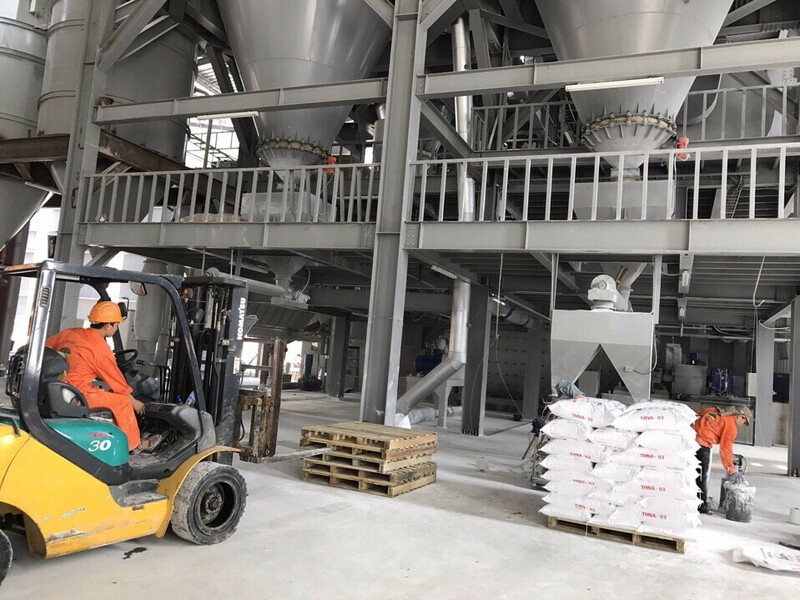 Once the the acid-fixing rate parameter has been established, the system will process the acid dew and quantify the control of the input dough for surface treatment. The surface treated stone powder will be passed through the filtering system and poured into finished product silo.